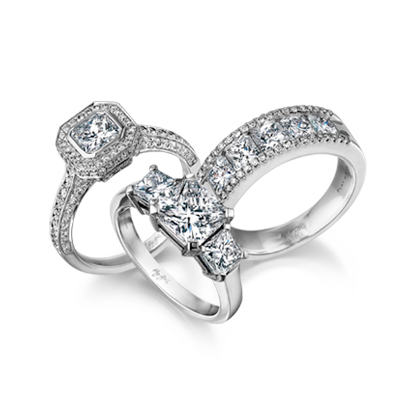 Millennium ring set with a Marquise Shaped Diamond. Set with a 0.78ct diamond, the marquise Millennium ring shown is crafted in 18K white gold. Unique in design, it is made to order based on your specifications. 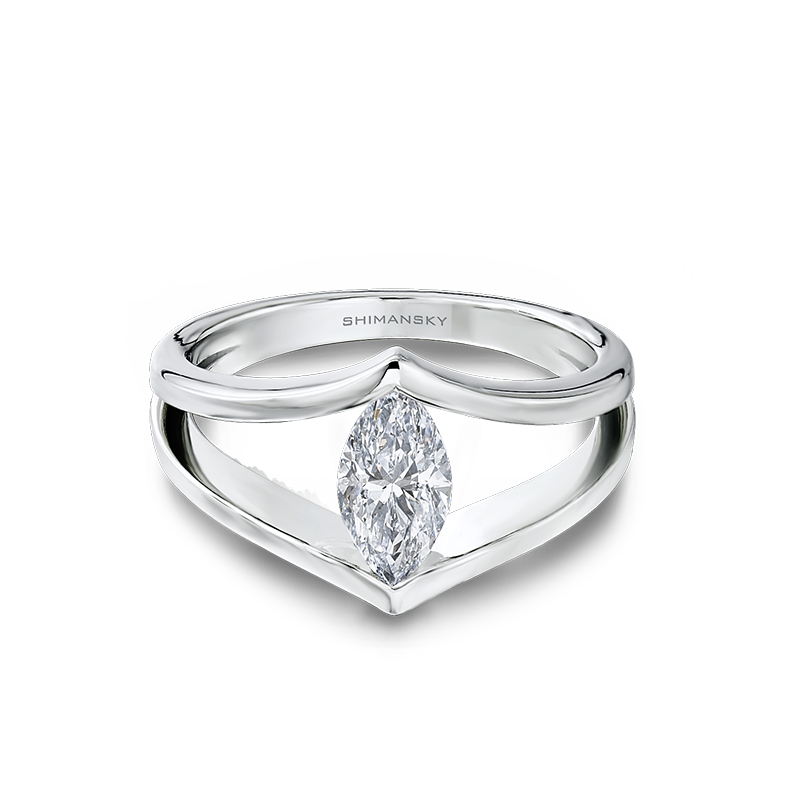 Set with a 0.78ct marquise shape Shimansky diamond, the marquise millenniun ring shown is crafted in 18K white gold. Unique in design, the marquise Millennium engagement ring is made to order based on your specifications with a hand-selected Shimansky diamond. Displaying a stunning marquise-shaped diamond, the Millennium Marquise Ring offers timeless sophistication. Representing the coming together of two lives, the two bands firmly secure the solitaire diamond - a symbol of forever. Exclusive to Shimansky, it is handcrafted to perfection. Holding a stunning marquise shaped diamond in the centre of the ring, the Millennium Marquise Diamond Ring is a unique contemporary design with timeless sophistication. Despite having the appearance of "floating" between the two bands, the diamond is firmly held in place by two metal bands that hug it, and take its shape. The result is a unique design that is both eye-catching and elegant. Representing the coming together of two lives, the two bands hold the solitaire diamond - a symbol of forever. 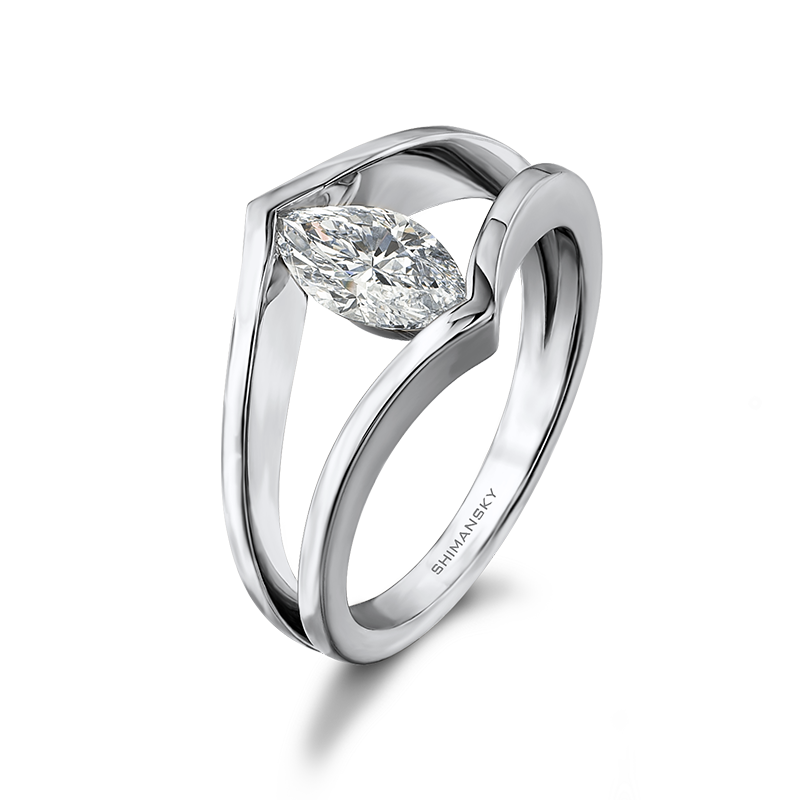 The Marquise Millennium Diamond Ring is a truly remarkable design, suited to a woman of exquisite taste. An exclusive Shimansky design, it is handmade and set to perfection.